Lion’s Head, Cape Town, South Africa. The mountain is embedded between the Table Mountain and Signal Hill. The peak soars above the city, reaching the height of 669 meters (2195 feet). A wonderful panoramic views overlooking the city and the ocean open from there. It takes about three hours to reach the summit. On the way up hikers also get to admire numerous historic graves and shrines of the Cape Malay community. 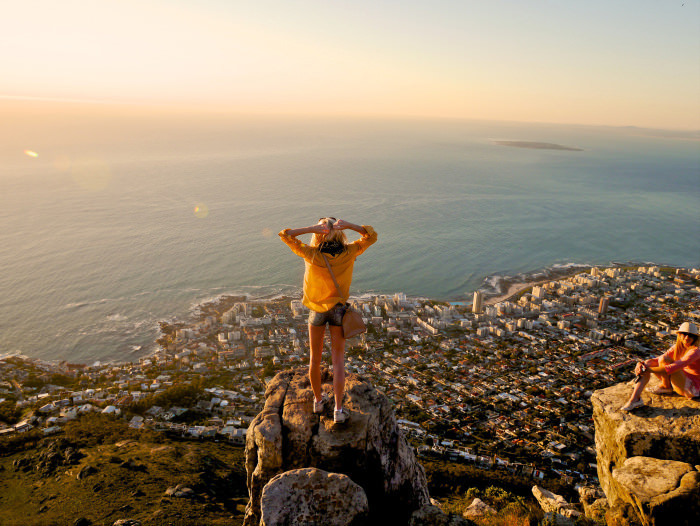 Besides hiking, Lion’s Head is a popular spot for paragliding and of course a photographers’ favorite site in the area. Great views, nice hiking trail, a beautiful spot for taking pictures. The trail starts from Signal Hill Road. It is quite challenging hike since the slopes are steep, so be well prepared.